Compared by critics to Kafka, Joyce, and Musil, H. G. Adler is becoming recognized as one of the towering figures of twentieth-century fiction. Nobel Prize winner Elias Canetti wrote that Adler has restored hope to modern literature, and the first two novels rediscovered after his death, Panorama and The Journey, were acclaimed as modernist masterpieces by The New Yorker. Now his magnum opus, The Wall, the final installment of Adler's Shoah trilogy and his crowning achievement as a novelist, is available for the first time in English. 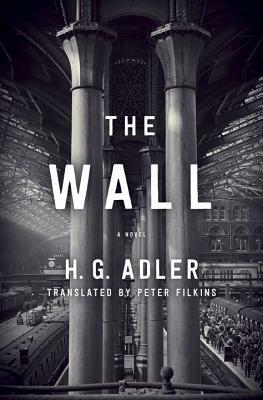 Drawing upon Adler's own experiences in the Holocaust and his postwar life, The Wall, like the other works in the trilogy, nonetheless avoids detailed historical specifics. The novel tells the story of Arthur Landau, survivor of a wartime atrocity, a man struggling with his nightmares and his memories of the past as he strives to forge a new life for himself. Haunted by the death of his wife, Franziska, he returns to the city of his youth and receives confirmation of his parents fates, then crosses the border and leaves his homeland for good. Embarking on a life of exile, he continues searching for his place within the world. He attempts to publish his study of the victims of the war, yet he is treated with curiosity, competitiveness, and contempt by fellow intellectuals who escaped the conflict unscathed. Afflicted with survivor's guilt, Arthur tries to leave behind the horrors of the past and find a foothold in the present. Ultimately, it is the love of his second wife, Johanna, and his two children that allows him to reaffirm his humanity while remembering all he's left behind. The Wall is a magnificent epic of survival and redemption, powerfully told through stream of consciousness and suffused with daydream, fantasy, memory, nightmare, and pure imagination. More than a portrait of a Holocaust survivor's journey, it is a universal novel about recovering from the traumas of the past and finding a way to live again. H. G. Adler was the author of twenty-six books of fiction, poetry, philosophy, and history. A survivor of Theresienstadt and Auschwitz, Adler later settled in England and began writing novels about his experience. Having worked as a freelance writer and scholar throughout his life, Adler died in London in 1988. Peter Filkins is an acclaimed translator and poet and the recipient of a Berlin Prize fellowship in 2005 from the American Academy in Berlin, among other honors. He teaches writing and literature at Bard College at Simon s Rock in Great Barrington, Massachusetts, and translation at Bard College in Annandale-on-Hudson, New York."